When he’s not playing hockey, Benedict van Woerkom makes and replaces milk filters in Featherston. 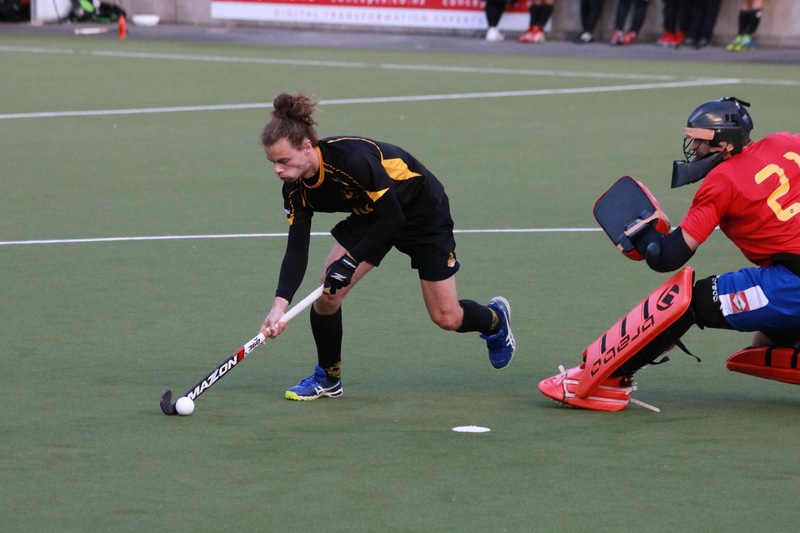 It’s hardly glamourous work, but a necessary sacrifice to sustain a lifestyle which has seen van Woerkom travel to such diverse destinations as Holland, England and India - establishing himself as a perennial contender for Black Sticks selection. “When I was in the halls at varsity I missed out on a lot of socialising. A part of me regrets that, but at the same time I wanted to make the New Zealand Under-21 team for the Junior World Cup. I accomplished that goal and to reach those ambitions there’s a lot of sacrifices involved,” van Woerkom explains. “I want to be a Black Stick,” van Woerkom insists. The midfielder or striker recently celebrated his 50th appearance for Capital in the National Hockey League (NHL). What does van Woerkom have to do to knock down the glass ceiling and fulfill his ultimate ambition? “Keep working hard and stay fit. It would be an advantage for me to go to Auckland where the National high performance set up is based, but I’m reluctant to do that because Wairarapa is home for me. I’ve been in various training squads and believe if I’m good enough, I’m good enough,” van Woerkom responds. Capital was good enough to win the NHL title in September defeating North Harbour in a shootout in the final. Earlier in the tournament van Woerkom missed a penalty against Canterbury, but redeemed himself with the winner in the finale. Despite the Canterbury blemish, the 26-year old was a model of consistency appearing in all eight games and acknowledging his half century in a 3-1 triumph against Midlands. “Playing 50 games is a great achievement and I’m very proud of it. It’s not something I set out to do. I don’t count the number of games, but that many games shows how much I’ve got out of the sport. I enjoy the camaraderie with the boys and the challenge of acquitting myself against the best in New Zealand,” van Woerkom reflects. Capital have twice been the best team in New Zealand since van Woerkom debuted in 2012. In 2015, after finishing fourth in the round robin, Capital stunned Auckland and Southern in the semi-final and final respectively to capture the NHL crown. “The win in 2015 was a definite highlight. We only made the playoffs after a few results went our way ensuring we finished fourth. In the semi-final I scored two goals and we beat a stacked Auckland side. They had at least half a dozen Black Sticks including Simon Child and Ryan Archibald. In the final I was one of the penalty shootout takers and managed to score in our 4-3 win,” van Woerkom recalls. Hockey runs deep in the van Woerkom family. Benedict has been playing since he was four years old. He was in the First XI at Wairarapa College where his father Mike is a long serving Maths teacher. Benedict is a stalwart of the local Dalefield club and in 2013 played for the Junior Black Sticks at the Junior World Cup in India. New Zealand finished seventh, but did well to compete against the Netherlands in the quarter final with van Woerkom scoring a goal. Half the team was stricken with “Delhi Belly.” Kane Russell, George Muir and Jared Panchia kicked onto became senior internationals. Evidently the family surname is Dutch and Benedict has played a season in the birthplace of his grandparents for the Hattem club. After a two year hiatus from the NHL Benedict’s sister Katherine has resumed playing. Katherine was a member of the Wairarapa College First XI who won the National Secondary Schools Federation Cup title in 2011. Katherine has represented New Zealand at U18 and U21 level before completing her University degree and earning a job as an accountant in Palmerston North. “Katherine is definitely the most talented of the four siblings,” Benedict acclaims. “We had a keen backyard rivalry, but Katherine has always had more natural talent and I’m convinced if he hadn’t lost enjoyment for the sport a while ago she would have been a Black Stick by now,” Benedict continued. Katherine regained her place for the Capital women’s team in the NHL. The females were a disappointing fifth, but don't expect either van Woerkom to disappear from the national conversation anytime soon.